Data science is now fundamental for all business who want to implement a successful digital strategy. The massive amounts of structured and unstructured data produced by consumers leaves much for companies to chew on when it comes to their data strategy in this digital era. The rise of Deep Learning, AI, IoT and Digital Transformation have meant that organisations in every industry are going through a disruptive change. Now more than ever, the business world needs assistance in guiding them through the ever-changing digital circumstances. Which is why the Big Data Analysis and Identity Management conferences organised by Whitehall Media have grown so rapidly in popularity in recent years, as businesses strive to gain the knowledge, skills and tools they need to master the data universe and achieve greater success now and beyond. Our IDM and BDA Conferences are already well established, having been run for over 10 years. Seen as market leading strategic network events they have been the go-to event for UK, Europe and Middle East delegates. The events also serve as a perfect opportunity for industry players to leverage new solutions to bridge the customer engagement gap. 2018 represents a pivotal year for key industry players, as the Asia-Pacific Big Data market is expected to follow existing rapid growth. From $2.30 billion in 2013 to $9.75 billion in 2018 at an estimated of CAGR of 33.5% during the forecast period, Asia is becoming one of the most important markets in the world for Big Data organisations. The rapid increase in data generation from different industry verticals is one of the major factors that is driving this Asia-Pacific Big Data market. 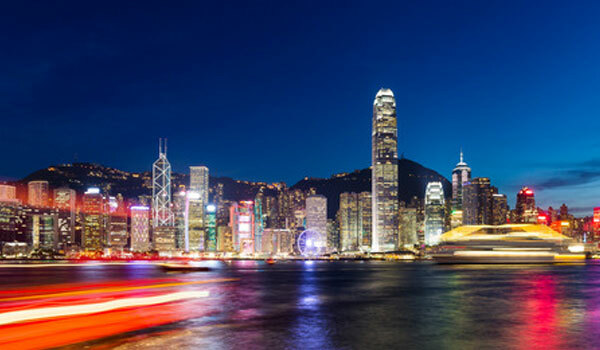 Following Whitehall’s success in targeting the Middle East Events world, we see Asian BDA and IDM conferences as the perfect step to bring our highly successful brands to the growing Asian BDA and IDM markets through our new Hong Kong Conferences. The Big Data Analysis Conference in Hong Kong will be complemented by the IDM Conference Hong Kong, delivering a 2-in-1 experience that is engineered to meet the needs and challenges of the leading industry players. Speakers will be drawn from all major business sectors, and will be heads of Industry and CEOs of major banks, government, finance, IT, manufacturing etc. For Sponsors, this represents an amazing opportunity to engage with the lucrative Asian Big Data market. Sponsors will be able to generate ROI through the high level of contacts in the industry and will have the opportunity to generate brand awareness through the industry. Whether you’re an end user, tech provider, corporate executive, or a data scientist, Whitehall Media’s BDA and IDM Hong Kong Conferences will be where you want to be this year. If you have any further questions or queries about our conferences, feel free to contact us for more information.